Gerald started making models of bicycles several years ago, mainly as a consequence of his own interest in and passion for cycling. 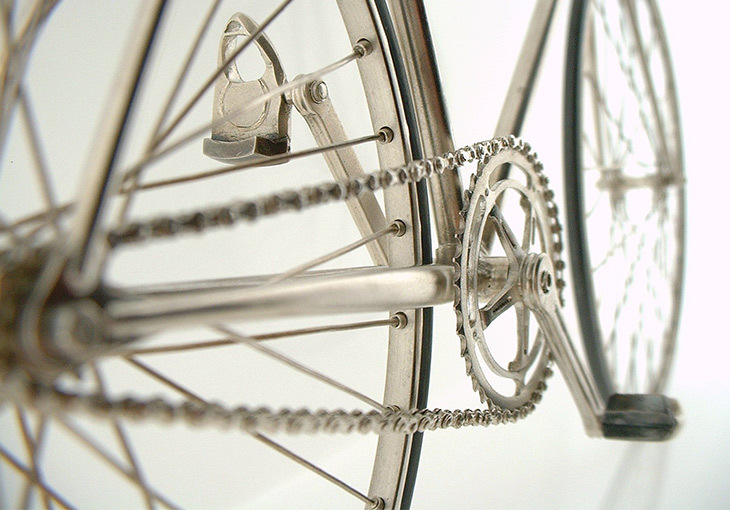 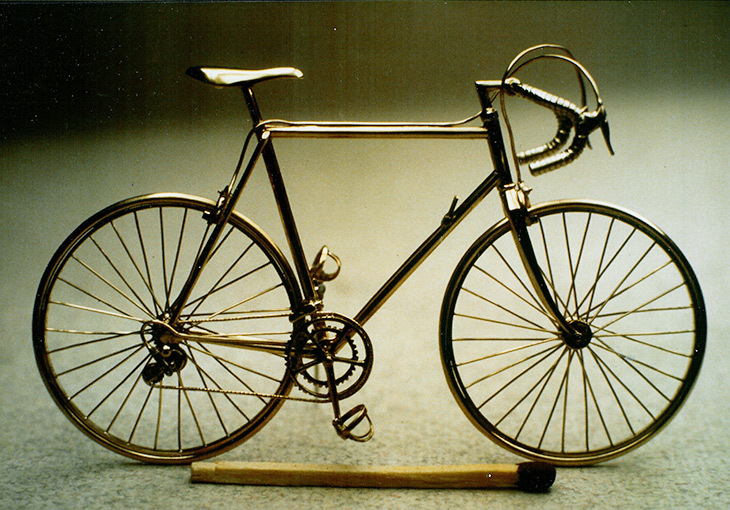 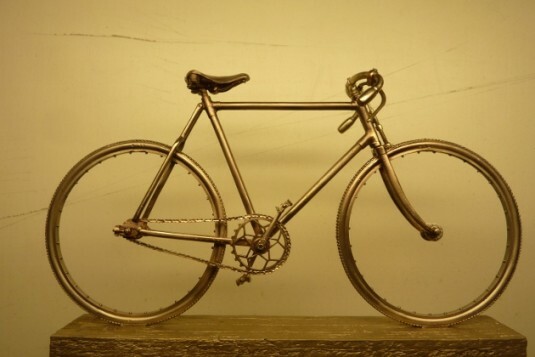 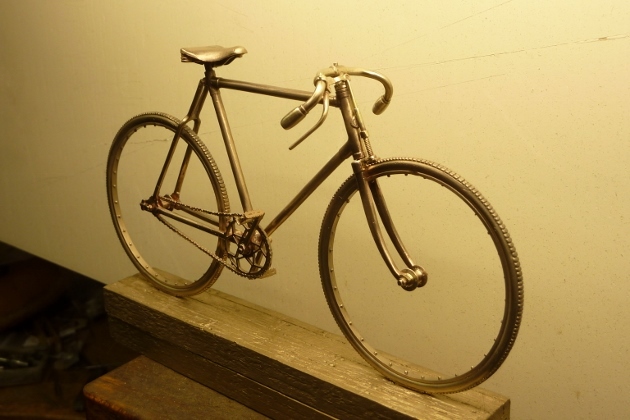 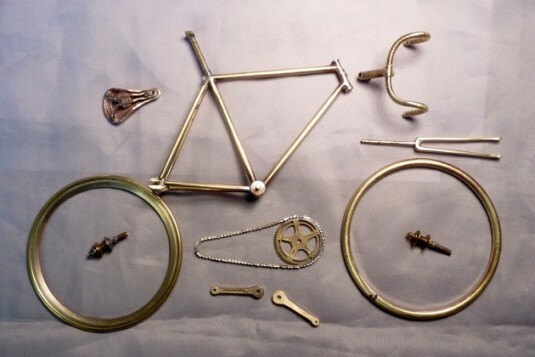 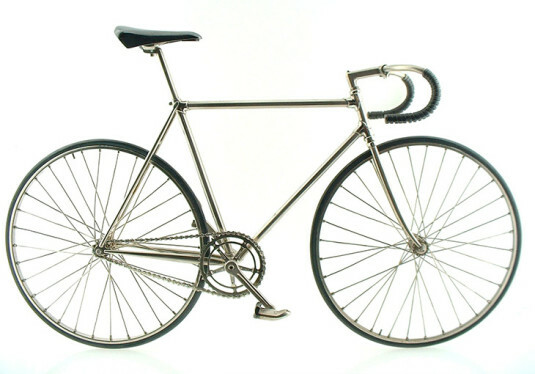 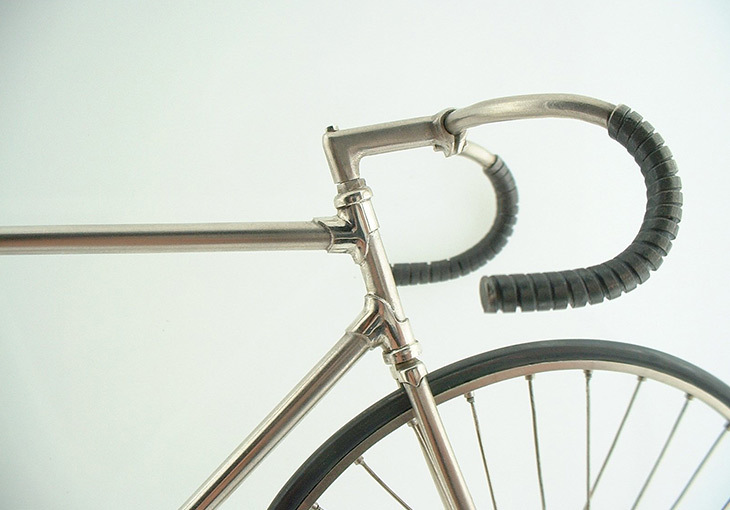 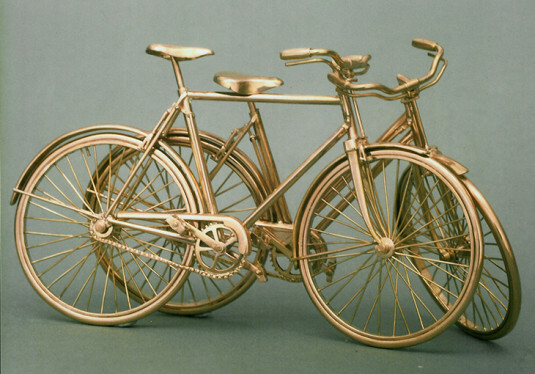 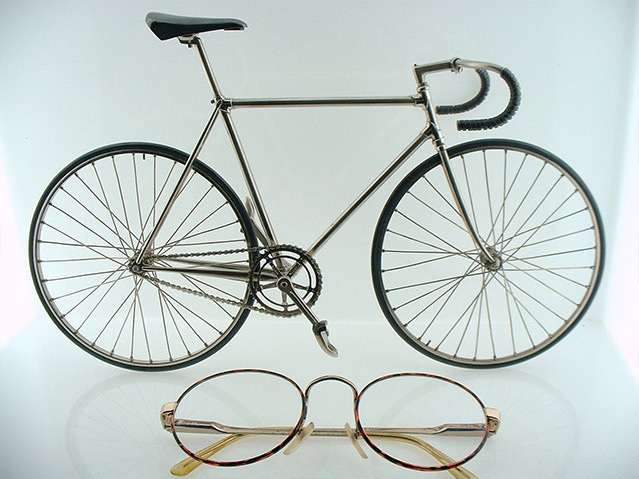 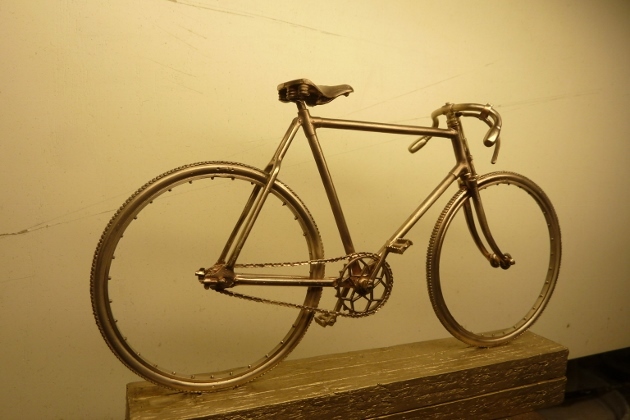 He first made a pair of gold bicycles, followed by a solid silver model of a fixed gear bike, which had a working chainset, headset and fully spoked wheels. 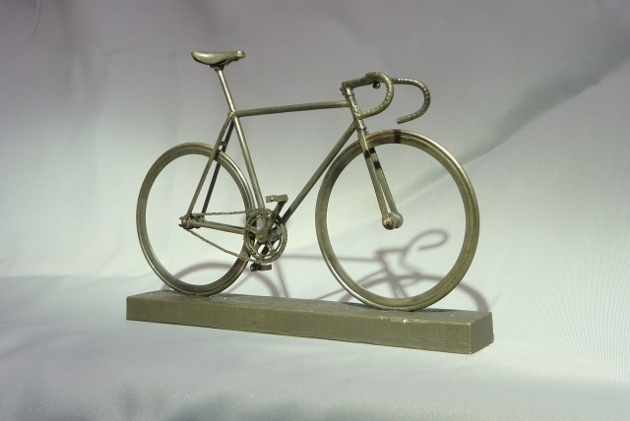 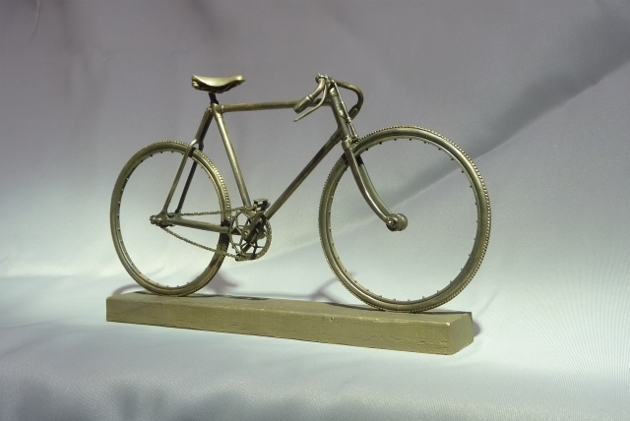 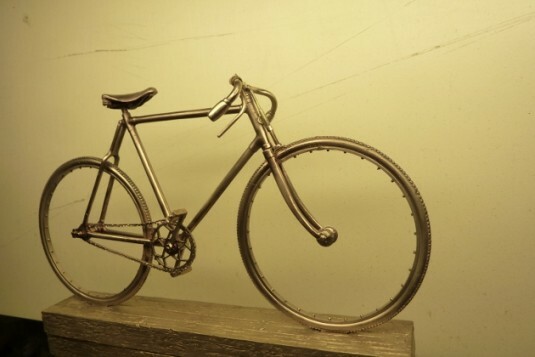 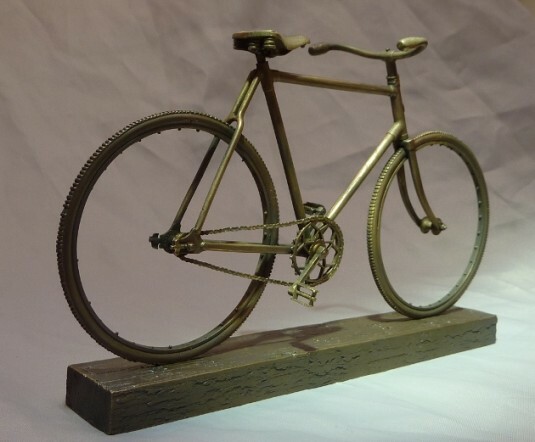 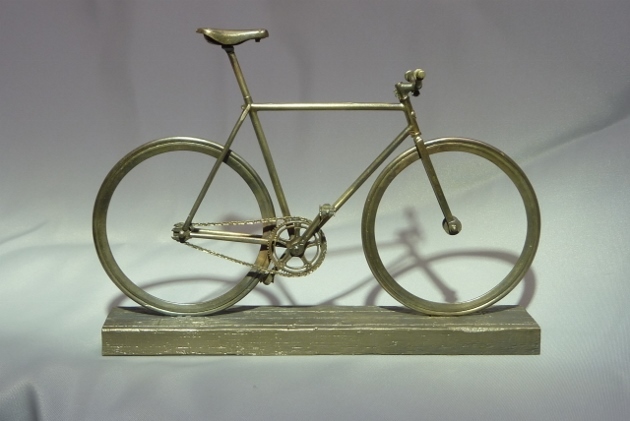 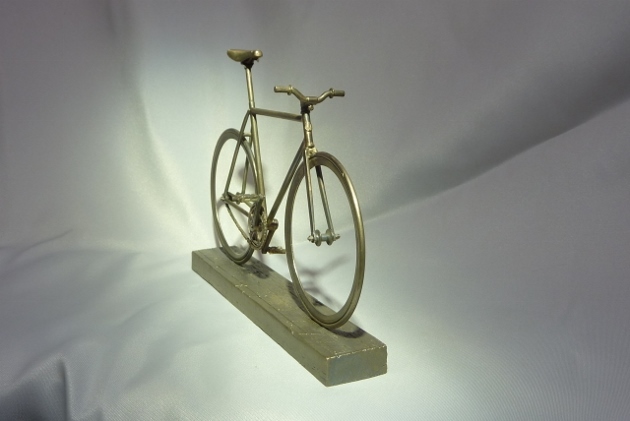 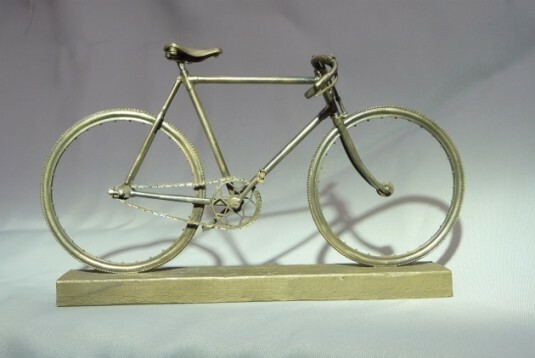 He is currently working on a range of limited edition cycle models, cast in real bronze, which measure approx 17 cm in length. 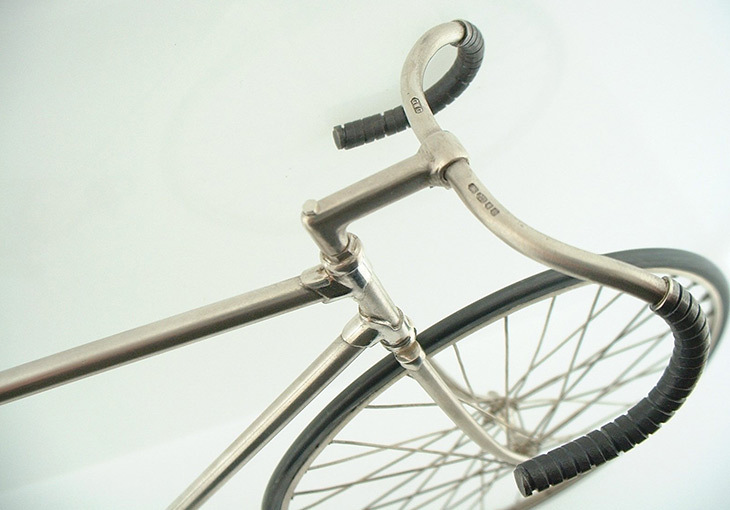 There are 4 different versions and there are only 50 of each version being made. 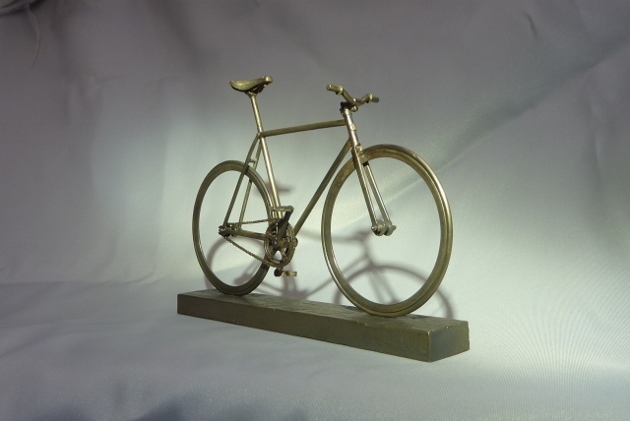 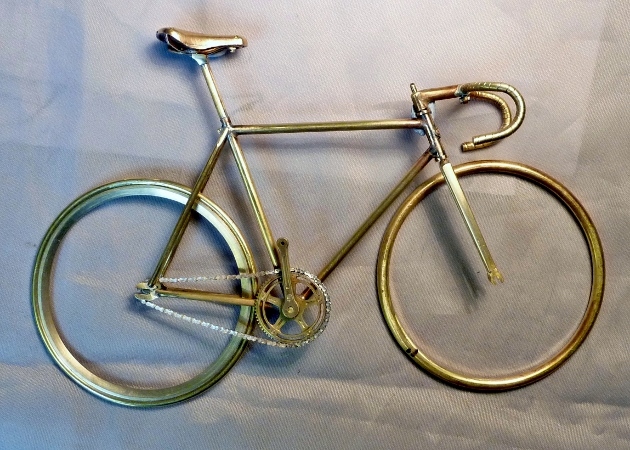 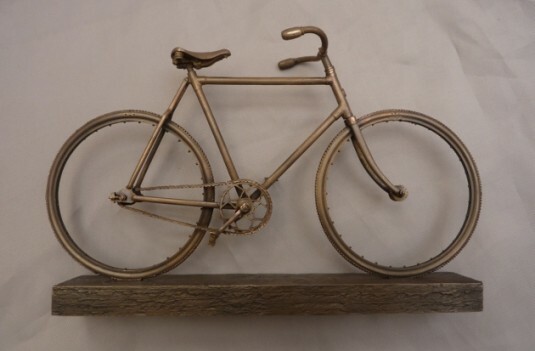 Gerald is also producing bicycle detailed keyrings, again cast in solid bronze. 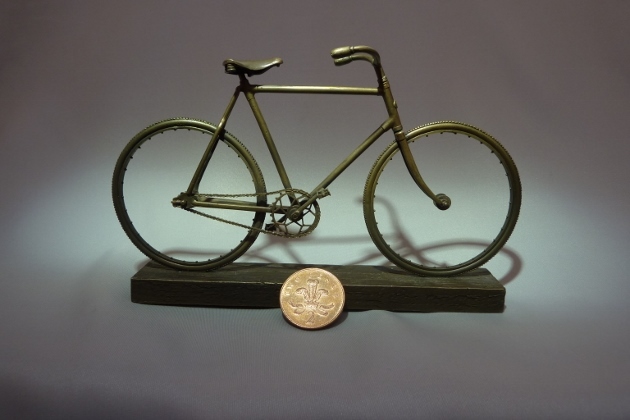 A description of the bronze casting process can be seen here. 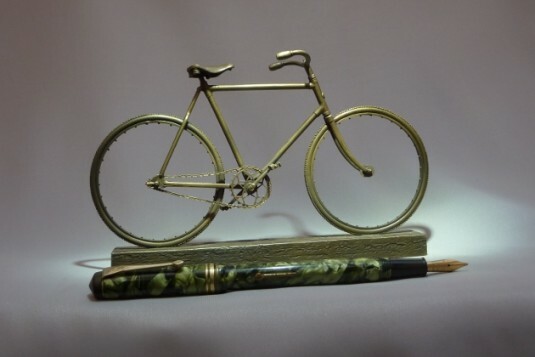 For prices and availability, please see the BRONZE CYCLES page.